I’ll start with a disclaimer: I intended for this to be a first impressions review. However, for several reasons delay heaped upon delay, to the point where first impressions were no longer relevant, and I continued testing and writing to get a more complete picture. I still intend to take another look when both the P3D version and the service pack are released. Additionally, a patch was released just as I was finalizing this review. Going back and rechecking everything, as well as taking new screenshots, would delay the review beyond Christmas, something I don’t want to do. 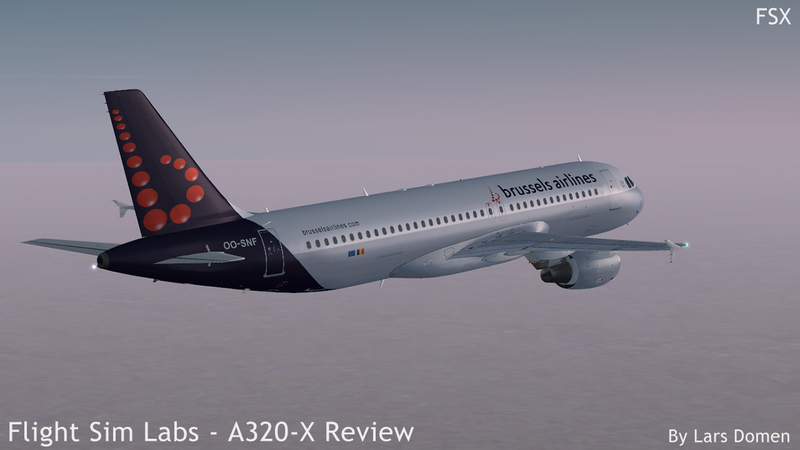 Therefore, this review is based on the A320-X before v1.0.1.184. The real Airbus A320 was the result of studies performed by a consortium of several European aircraft manufacturers run through the late 1970’s and early 1980’s with the aim of competing with Boeing and Douglas in the single aisle aircraft market. The program was officially launched in 1984, followed by the first flight on February 22nd 1987. Certification and entry-into-service followed in 1980. The A320 has been continuously improved on, and the initial A320-100 was quickly dropped in favour of the longer range A320-200. 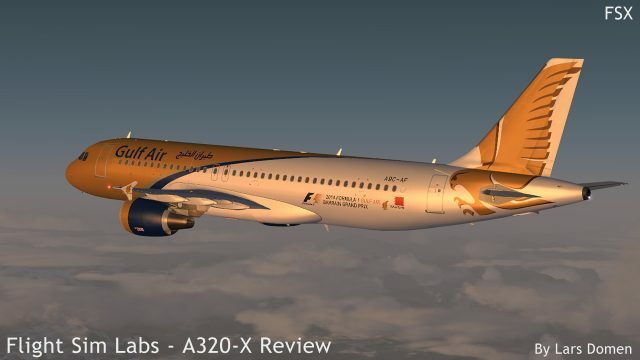 It also gave rise to an entire family of aircraft when it received 2 shrinks (the A319 and A318) and a stretch (A321). As of 2016, there are 4 final assembly lines, with A320’s being produced in France, Germany, China and the USA. The aircraft was revolutionary in its use of a digital flight-by-wire system and a full glass cockpit. The pilots fly the plane with small sidestick controllers, instead of the more traditional yokes. It’s a single aisle, short to medium range aircraft with typical seating for 150 to 186 passengers. Its main competitor is the Boeing 737. 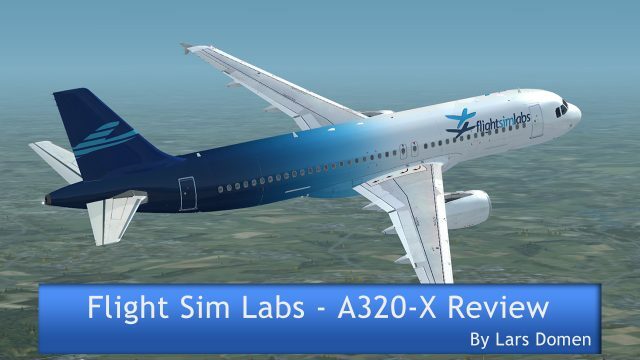 The Flight Sim Labs A320 covers 2 versions: the A320-214 powered by CFM56-5-B4 engines, and the A320-232 powered by IAE V2527-A5 engines. Both are fitted with EIS2 systems (as opposed to the older EIS1 systems) and the FMGS version simulated is the FMGS Rev2+ software revision S4, for those who want to know. The biggest hurdle if you want to acquire this aircraft is the very first one: the price. 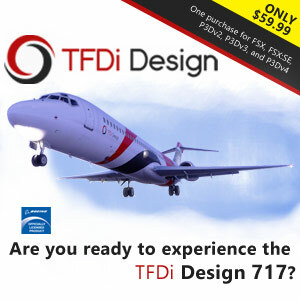 Listed at US $99.95, this is aircraft is very expensive no matter how you look at it. And that is before Value Added Tax (VAT) is added depending on from where you purchase. This impressive prices sets impressive expectations, so let’s hope the add-on lives up to them. At the moment, only the FSX version is available, which is compatible with both normal FSX (SP2 or acceleration), and FSX Steam Edition. 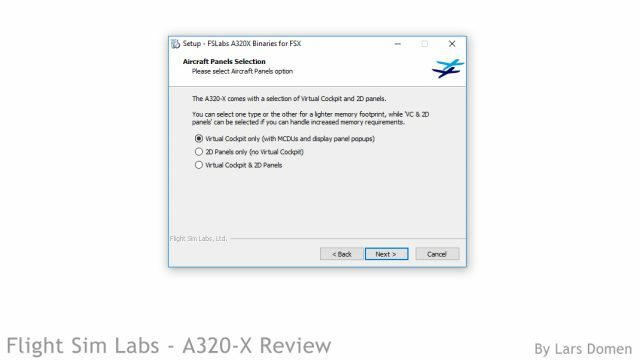 Luckily, FSL has stated that the P3D version will be available for existing customers at just the price difference between versions (expected to be between $30 and $40, but not fixed yet) while retaining access to the FSX version. A nice compromise between getting both versions for one price, or having to purchase both completely separately. After purchase, you get access to a download in the form of a zip-file (550MB large) which contains 2 installers. You have to run the ‘resources’ installer first, followed by the ‘binaries’ installer. Both installers automatically find the simulation location for installation, which can’t be changed. But you also need to specify another folder for some extra’s, like the manuals and uninstaller. The default location for this is “C:/Program Files/FSL/A320/FSX” but can be changed to any location of your choice, outside the simulator folder. I installed mine in a folder called “FlightSim Tools” on a dedicated FS drive. 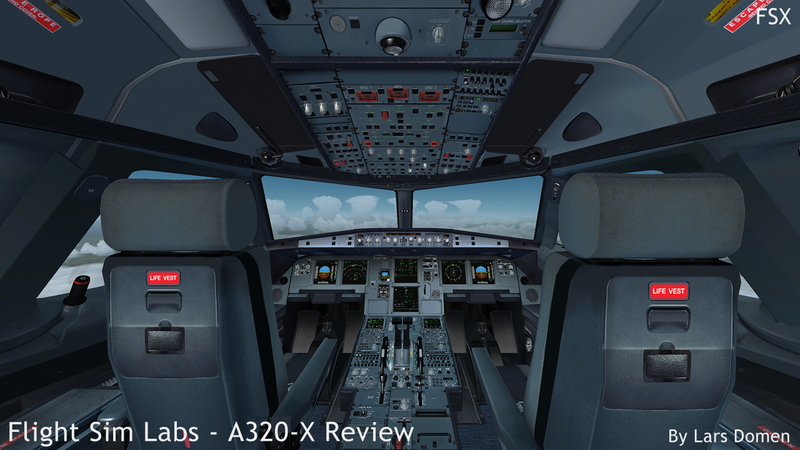 During installation, you have to choose a texture resolution for the A320, going from 512px to 4096px. Another choice you have to make at the time of installation is whether you want 2D panels, the 3D virtual cockpit (with 2D popup panels) or both. For my review, I chose both, although I don’t use full 2D panels myself apart from testing. The main installers only install 2 liveries, one for each engine version, both being FSL house liveries (which do look good, in my opinion). Additional liveries are available in the download section of the FSL forums. 81 and counting from FSL themselves at the time of writing, and a growing number from third party painters. The Flight Sim Labs repaints are delivered as an executable file, each about 10MB large (with size varying between liveries). Installing a livery is as simple as running the installer and going through the usual steps. Like the main installer, the livery installers need a location for the uninstaller and some other miscellaneous stuff. Unfortunately, if you use a custom location like I do, you’ll have to reselect that custom location for each and every livery you install. Another small problem is that all FSL installers are seen by Windows as coming from an ‘Unknown Publisher’. This doesn’t really affect functionality, but it does mean that Windows and some anti-virus programs become very suspicious when you run the installers, sometimes even blocking them when you run them, depending on the software you use and the relevant settings. Finally, to truly get the most out of the FSL A320, you also need to install Flight Sim Labs’ ‘Spotlights’ product. 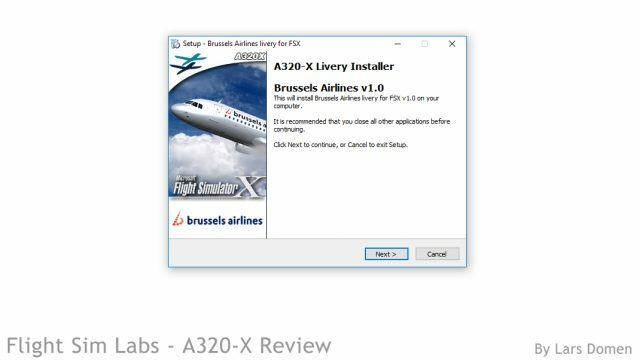 If you don’t already have that product installed, you can download and install it for free, and it will be fully functional for the A320. 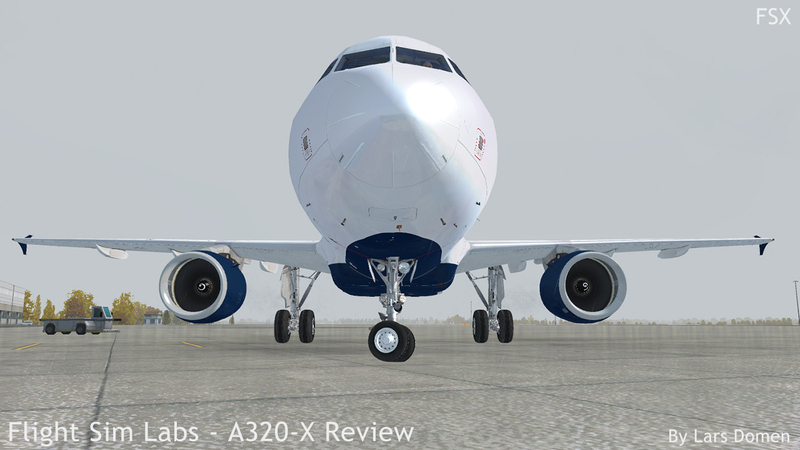 The external model of the FSL A320 is as it should be. High quality, good looking, and as far as I can tell, accurate. From the general shape to the small details, it’s all looking good. The small details can be found in the usual places: the landing gear and antennas and stuff like that. But in the case of the FSL A320, I particularly like the engines. The amount of detail, and how it all looks, in the fanblades and fan in general, is beautiful. Similarly, all animations look good and smooth. 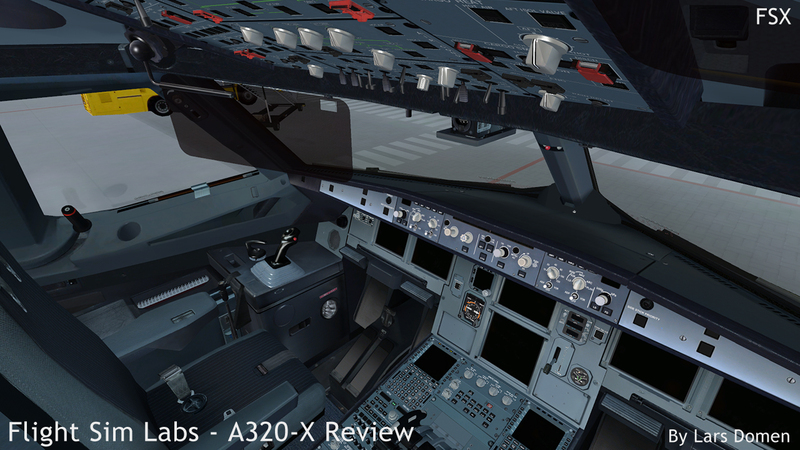 Going from normal flight controls, over gear extension, to doors… And of course the engines turning. And there’s wingflex as well. It’s not much, as the real A320 has very stiff wings, but it’s there. When looking at the textures, once again, there’s a clear impression of quality. Overall, the textures are of good resolution, sharpness and quality. Flight Sim Labs made the choice of putting all (non-livery-specific) markings in a separate texture sheet. The positive result is that even when using low-resolution texture files, these markings remain sharp and readable. The downside is that, again when using low-resolution textures, the overall result is a bit weird, with the markings being sharp, and the airline livery become blurry. When using high-resolution liveries, this problem is non-existent. And overall, I think the result is good. Everything nice and sharp, and clearly great detail in the 3D modelling. I just miss that final touch in the paint which makes it look like painted on a real fuselage. Nevertheless, looking good. There’s some stuff I don’t like about the textures/liveries as well though. First of all, both FSL House liveries show distinct white lines between texture sheets on the fuselage for me. Luckily, this is not so for other airline liveries. At the same time, the textures don’t give me the feeling of actually consisting of paint on a metal surface. I think quite a bit more could’ve been done with shininess and reflection to make it look better. Personally, I’d also like a bit more wear and tear in my liveries as well, but I know other people like them clean. 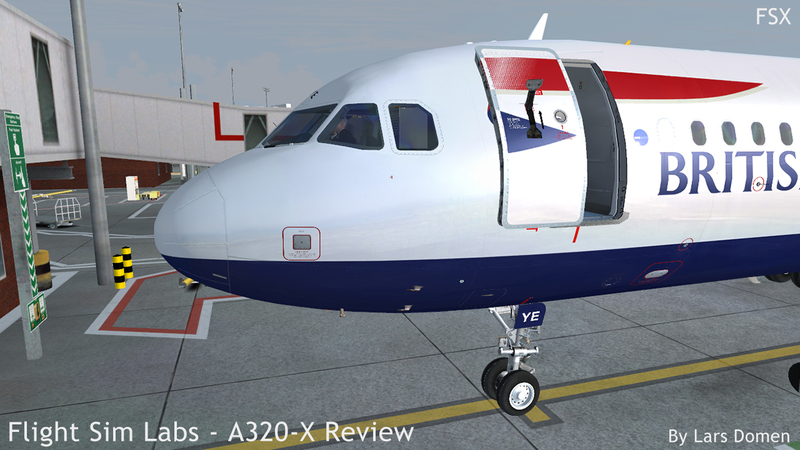 The airline repaints I tested (all by FSL) are detailed and look good. While I like the overall look of the aircraft at night, with nice and accurate position and strobe lights, I don’t really care for how the wing and landing lights light up the aircraft. The effect is overdone in both area and brightness, and has a distinct yellow hue. 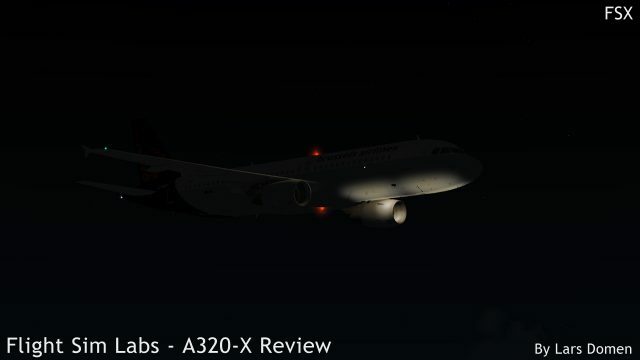 The latest patch (1.0.1.184) fixes the landing lights, but not the wing lights just yet, which continue to light up areas of the engine inlets they should not. Pre-v1.0.1.184 screenshot. 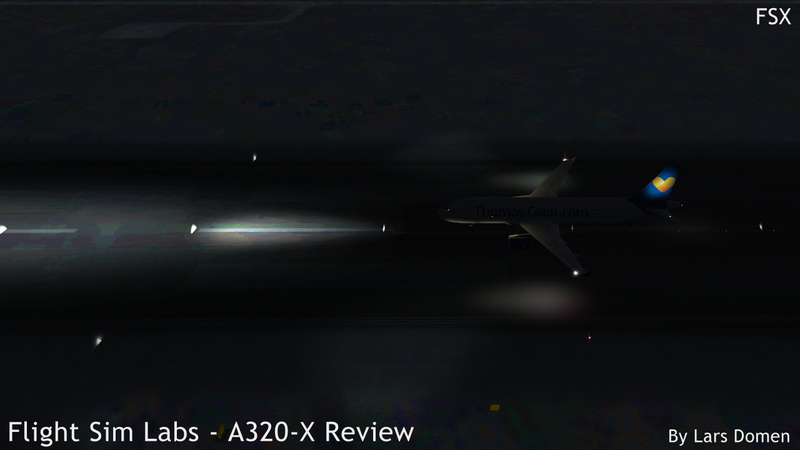 The fuselage is no longer lit up so excessively in by the landing lights in the latest build. 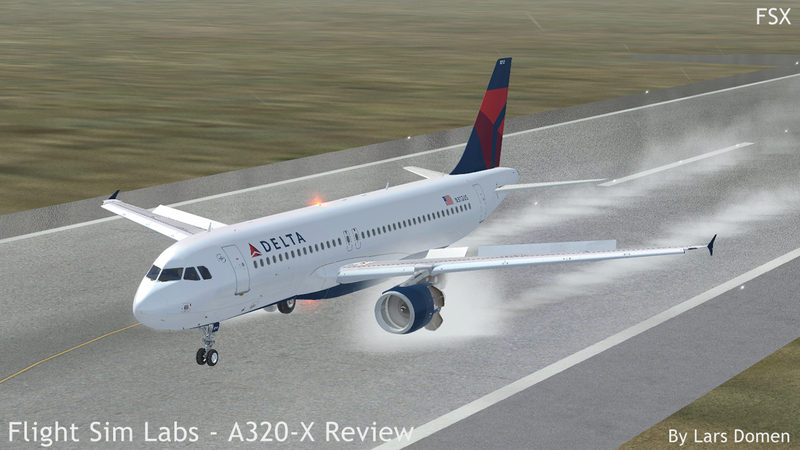 Finally, FSL included a very nice extra feature in the A320: moisture and water effects. The most impressive of these are the effects caused by jetblast or reverse thrust on wet or snowy runways. These effects are massive, and very impressive to look at. Apart from these very large and impressive effects, there’s one that’s used a lot more where FSL also went above and beyond: contrails. 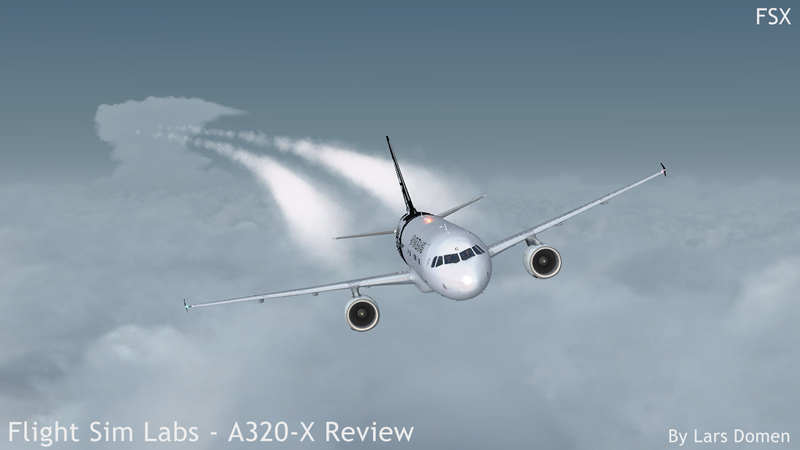 When flying the FSL A320, you’ll notice that contrails change depending on atmospheric conditions. Sometimes the contrails are quite small, at other times they’re big and fluffy… And sometimes, they’re just not visible at all. And you can encounter all of this in a single flight, as said, depending on atmospheric conditions. Before I actually discuss the interior, I have to quickly note that I do not use DX10 mode or the ‘DX10 Fixer’. I’ll expand on the reason for stating this in a later section of this review. Modelling in the virtual cockpit is of very high quality. The general shape looks very convincing, and there are a lot of small details to be found. In fact, I haven’t stumbled upon anything of which I thought: “They should’ve modelled this in 3D.” Every detail of which you could think that, is already in 3D. Just as important, if not more so, is that all those details look good. No visible corners (at reasonable viewing distances) on stuff that should be round and things like that. All in all, very convincing. Even not very obvious areas are all looking fine. I’m quite fond of the sublte inclusion of the FSL logo in the carpet. When looking at the interior textures, one will once again note high quality in general. The entire virtual cockpit looks and feels quite immersive. Flight Sim Labs successfully managed to avoid the fake and ‘plastic’ feel that comes with some virtual cockpits. All markings are also very clear and crisp, and easily readable. Overall, the cockpit represented is quite clean, but not pristine. There are some subtle signs of use to be found around the flight deck. I sometimes got the feeling the side-window frame stood out a bit too much in terms of texturing compared to the rest of the VC. Apart from that, an all-round excellent experience. When we take a look at the virtual cockpit at night, Flight Sim Labs simply blows all competition out of the water using their Spotlights technology. 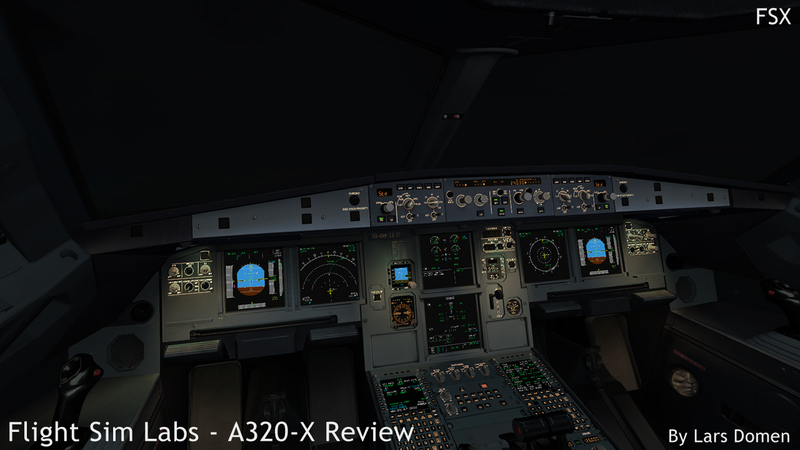 The A320’s VC night lighting is the best I’ve ever seen in FSX, period. All light controls work, all are adjustable in brightness, and none show any visible edge lines where their influence suddenly stops. 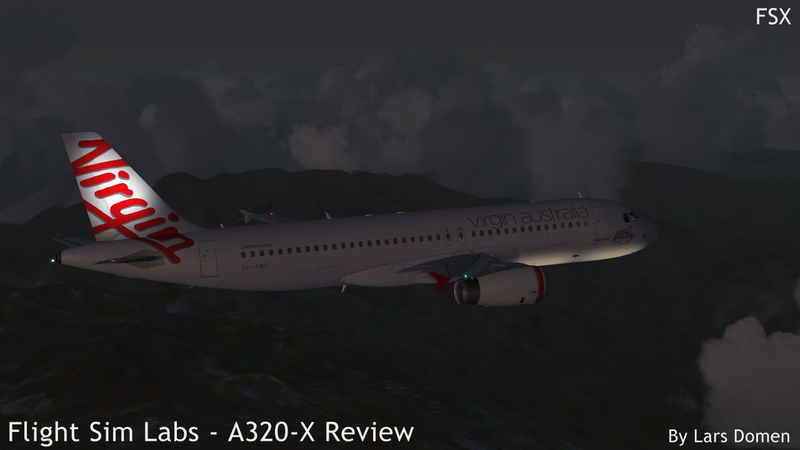 The overall result is nothing short of amazing, and makes the A320 truly a pleasure to fly. 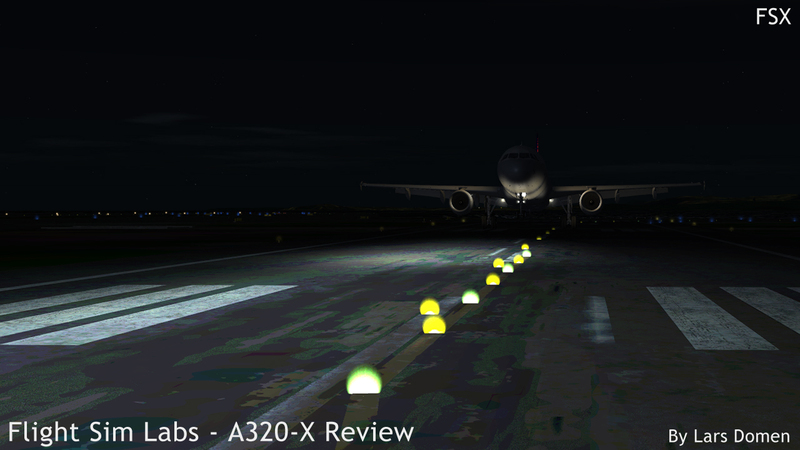 I’d even go as far as saying that not flying the A320 at night, makes you lose a big part of the experience. First things first: yes, the Flight Sim Labs A320 comes with full 2D panels. As stated before, the installer gives you the option to install the aircraft with or without 2D panels. Personally, I don’t use full 2D panels, but for the sake of this review, I installed them and had a quick look at them. There are several full 2D panels included: the captain’s main instrument panel, the first officer’s MIP, the overhead panel and the centre pedestal. Additionally, there are a multitude of other 2D pop-ups, among those both MCDU’s (Multipurpose Control and Display Unit, the units used to interface with the flight management computers), all multifunction displays, and more. All 2D panels look good, are crisp, and work very reliably as far as I can tell. They also contain clickspots to open or close other 2D panels or pop-ups. 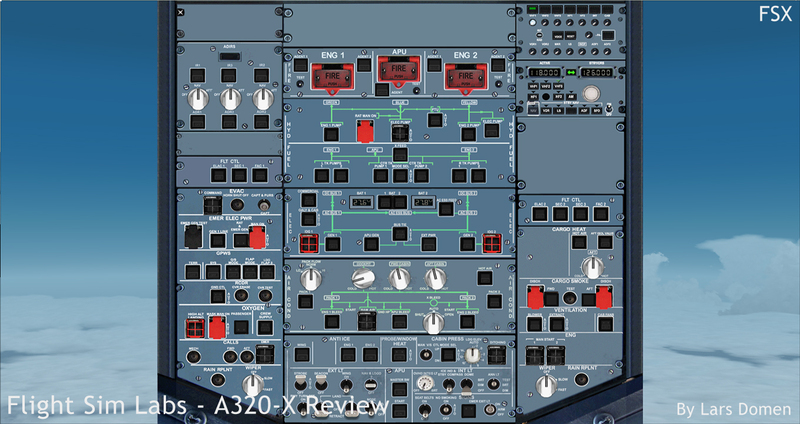 FSL put a lot of thought into making the 2D panels easy to use. But they didn’t stop at just that aspect. 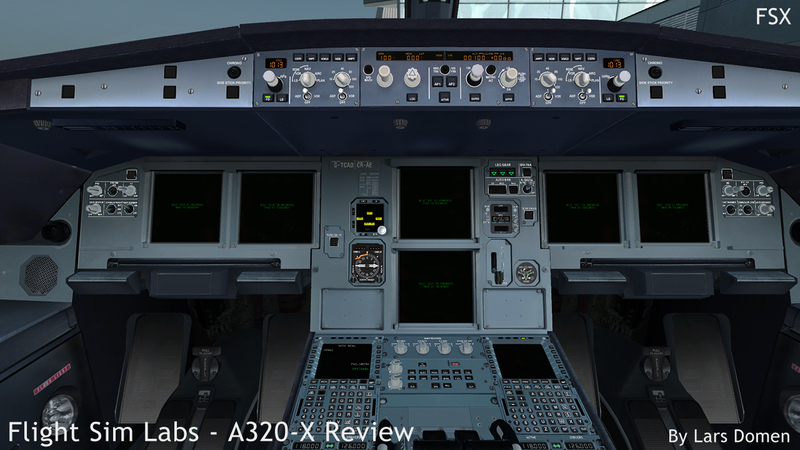 The A320-X in its entirety shows lots of attention to details that make using it more consistent and accessible. Certainly worth of note here is that FSL did some lot of work on both mouse clickspots and keyboard shortcuts. Clickspots are easy to find, consistent and easy to use. 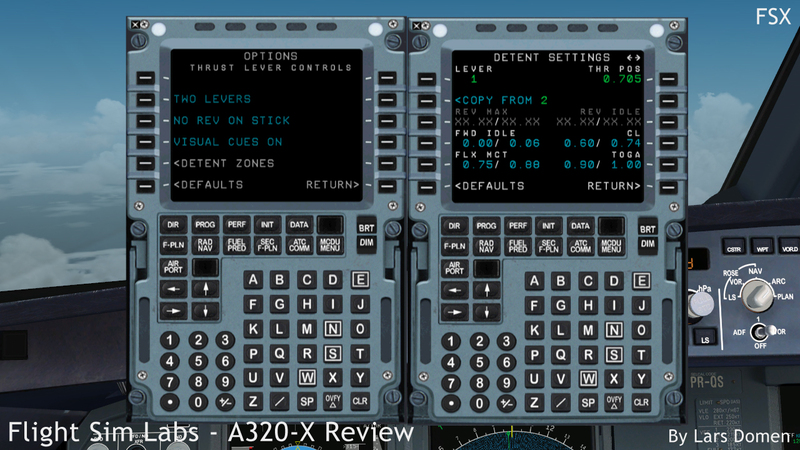 As far as keyboard shortcuts go, the A320 uses the normal FSX ones, but with some twists. ‘F1’ and ‘F4’ don’t move the throttles to their limits, but to the next lower or higher detent respectively. This includes ‘Idle Reverse’ and ‘Max Reverse’ detents. They did something similar with both the flaps and the speedbrake controls. In my personal opinion, an awesome feature. 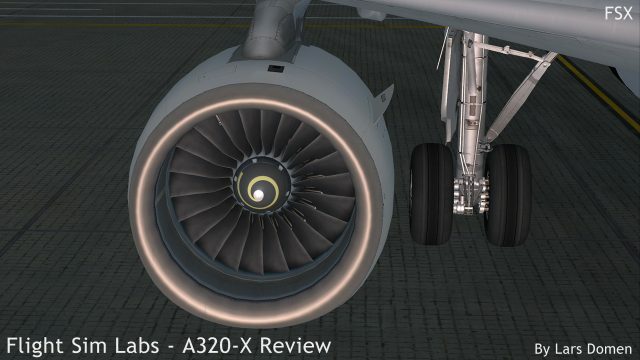 When it comes to options and other related features, those in the A320-X are found in 2 places. In the FSX ‘Add-ons’ menu you can find pages to change keyboard commands, save and load panel states, and info about the Flight Sim Labs team. All quite self-explanatory but useful. I just wish the Panel State saving and loading feature was better documented in the manual, and some useful default panel states were included. I’ve also had a less than stellar track record when trying to reload a saved flight. Actually, I have never been able to actually complete a saved flight. The aircraft just comes up without the flight plan, and a whole lot of other stuff not set right. That being said, loading manually saved panel states on the ground worked perfectly fine. For other options and the like, you’ll have to use either of the 2 MCDU’s. Here you’ll find maintenance options, pages to open and close the doors and connect external utilities, as well as pages to load fuel and payload. While most of this is self-explanatory, there are a couple of options I want to point out. First of all, many people (myself included) will be happy to see the option to change which units the system uses. Degrees Fahrenheit or Celsius, pounds or kilograms, litres or quarts and inches of mercury or hectopascals. Especially nice to be able to choose all of this independently, instead of having to use all or nothing of a certain system of measurements. A second feature I want to point out is the thrust lever page. There are quite a bit of options related to the thrust levers built into the A320-X. First of all, you have to choose whether you use a single lever, or dual levers. 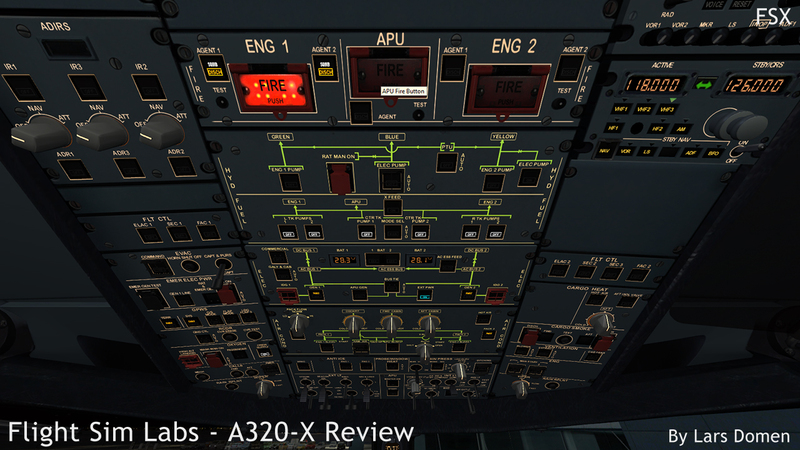 Similarly, the A320-X needs to know if you have a reverser or not on your physical throttle setup. The final on/off option is to have visual cues about throttle position on or off. These are messages at the top of the FS screen telling you which detent the throttles are in. Last, but most certainly not least, is that you can adjust the detent positions for the throttles. By simply moving the throttle and copying the position, you can edit where a detent starts, and how wide it is. 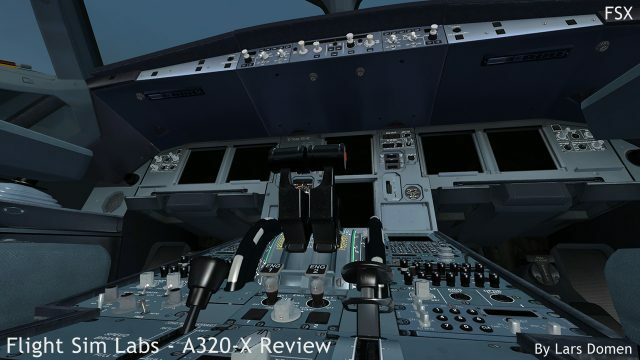 This might sound a bit abstract, but it is an amazing feature, that makes handling the Airbus’s throttles much easier if set up to your liking. Setting up the thrust lever options. Once set up to your liking, you never have to touch these pages again. Nevertheless, I consider them quite an important feature of this product. The final feature I want to point out once again pertains to controls, but this time the nosewheel steering. Most FS aircraft just couple nosewheel steering and rudder, even on large airliners, where this isn’t realistic. The A320-X does this differently. There are 2 ways you can control the nosewheel. The default setting is that you press a key on the keyboard to disconnect your normal rudder input (either pedals or joystick twist) from the rudder, and control the nosewheel steering. A second option is to use a dedicated steering axis through (registered) FSUIPC. When first starting out in the A320-X, this disconnect is a bit strange. But, for me at least, it quickly became intuitive, and I quite like it. The MCDU is also used to enable, arm, trigger and resolve failures. There are quite a bit of those available, in a list sorted by ATA chapter. They can be immediately activated, or set to activate upon meeting certain conditions (which can be randomized). In all, if you’re interested in this, a nice approach. Personally, I tend to enable one or two failures, to happen at a random time (which means they will fail, between 0 and 8 hours from enabling them). In a 2 hour flight, this gives me about 25% chance of a failure. I wouldn’t fly if these were the odds in real life, but it’s nice to be challenged in sim. In doing this, I’ve once had flaps stuck at zero on approach, and I also ran into a random engine failure just before V1 during takeoff. Really keeps you on your toes. On the left: entering a new failure. On the right: part of the list of available failures. 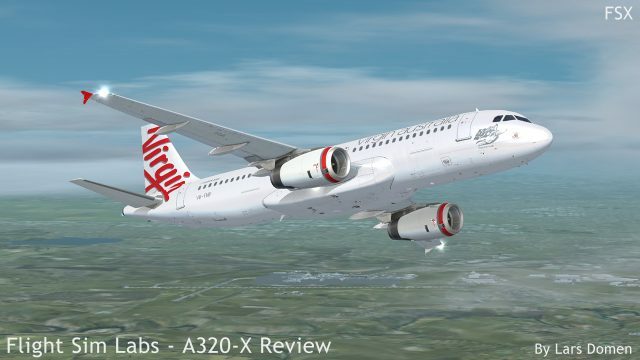 Flight Sim Labs’ promise from the very first announcement years ago, has always been to deliver the most detailed and realistic Airbus A320 simulation available for the FSX ecosystem. I don’t think I’m giving too much away when I say them succeeded. The competition is either old, unfinished, or created with a different (but equally valid) design philosophy in mind. That being said, let’s start looking at what the FSL A320-X brings to the table in the form of systems. First of all, there’s everything related to the fly-by-wire system. Extremely important in an Airbus simulation. Much of the aircraft revolves around this. I’ll talk more about how the aircraft actually flies later in this review. For now, let’s just say that FSL simulates all computers driving the fly-by-wire system, and their associated effects. When looking at the electrical, hydraulic and pneumatic systems of the A320-X, it quickly becomes clear how much time and effort FSL has invested in getting it right. In normal operations, there’s not much for pilots to notice. There are very little manual actions to be taken care of in handling these systems from start-up to shutdown. But a look at the ECAM pages, especially while some stuff fails, can be very interesting. Temperatures and pressures change realistically, opening or closing valves and relays takes time. Nothing happens instantly. 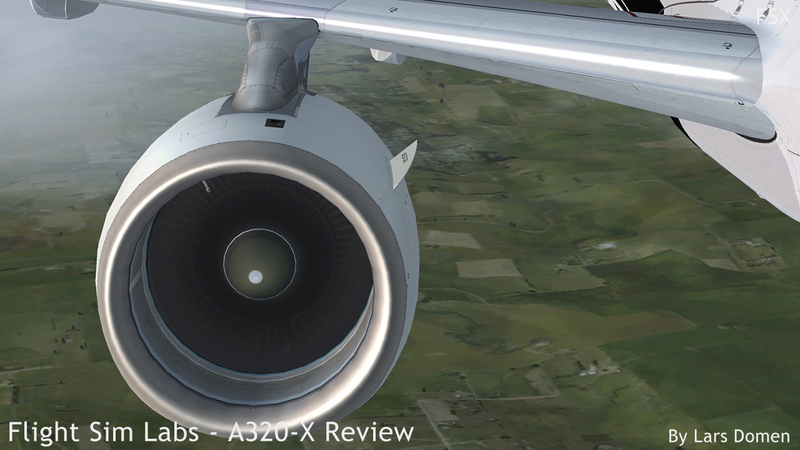 It’s hard to quantify the feeling playing with the A320-X’s systems gives you, but it’s all very nice indeed. Some, but not all, of the 2D popup panels. Of course the Airbus’s systems are notorious for being incredibly interconnected, which makes them hard to represent in a simulation. But I have no doubt FSL did an amazing job in getting into these grimy details. Maybe I should give just 2 very easy to notice yet still pleasing examples of how this can be seen. First of all, opening a cargo door without electrical power can be done, but takes a lot of time (in real life, ground personnel would have to use a hand pump to open the door) while it goes quite quickly when the aircraft has an electrical power source connected. Similarly, during startup, enabling a system with a high power draw might temporarily cause a power drop, which can be seen in cockpit lights dimming a bit for just a second. I know, nothing ground breaking, but it’s stuff like that that represents the finishing touches. One system that should get a bit of attention all on its own, is the flight management computer, and the associated MCDU’s. The Airbus way of doing things here is very different from the Boeing way to which most simmers are used. But once you get your head around it, the results are basically the same. The aircraft takes pilot input and performance data, and tries to fly the programmed route in the most efficient way while keeping in mind a whole lot of factors. Of course, the simulated version does this job admirably, and once again shows a lot of detail. But it’s here that we find some missing features in this version. Some pages when called return a ‘Not Implemented’ message, instead of the requested page. Sometimes this makes sense, as they’re no use in our simulators. Other you’ll have to work around, or live without for now. First and foremost: the secondary flight plan feature. While it’s not necessary to have successful flight, it’s a feature that would be nice to have. The same is true of the ‘Equi Time Points’ feature and the ‘Fix Info’ pages. However, Flight Sim Labs have stated they’re working on these, and are planning to add all these features in a later service pack. And as I remember, their track record on updates for their Concorde X product was quite impressive, so I have good hopes they, unlike some other developers, will deliver on these promises. The auditory experience when using the FSL A320 is one I find quite convincing. In the exterior, you get an immersive overall experience, with sounds changing nicely depending on camera angle. You can hear different noisemakers on the aircraft. First and foremost of course, are the engines. But the APU and brake fans also make quite a bit of noise. There is a clear difference between the engine noise of the CFM and IAE variants, as you’d expect. And if real life A320 personnel on the forum state it sounds just like the aircraft they work on, well, that’s good enough for me. 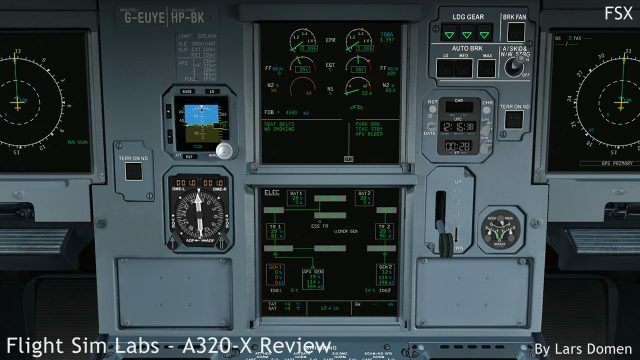 While I like the exterior sounds on this Flight Sim Labs product, I absolutely love the work they did in this aspect in the virtual cockpit. You get all the expected: nice click sounds for all switches, engine noise, airflow noise, noise from miscellaneous fans cooling the instruments etc… It’s all there. But what I like most of all, is how it all depends on what you do and how the aircraft is setup. For example, the typical ‘barking dog’ sound of the A320 (actually the PTU, or power transfer unit) that’s well known to all Airbus-frequent-flyers, is not audible from the cockpit. Unless you open the first officer’s side window. But not when you open just the captain’s side window, because there’s a running engine at that side. It’s attention to detail like this that makes the experience so very immersive. The amount of work FSL put into the A320-X becomes apparent even before you leave the ground. A lot of work was put into working around the unrealistic ground friction model in FSX, and it shows. 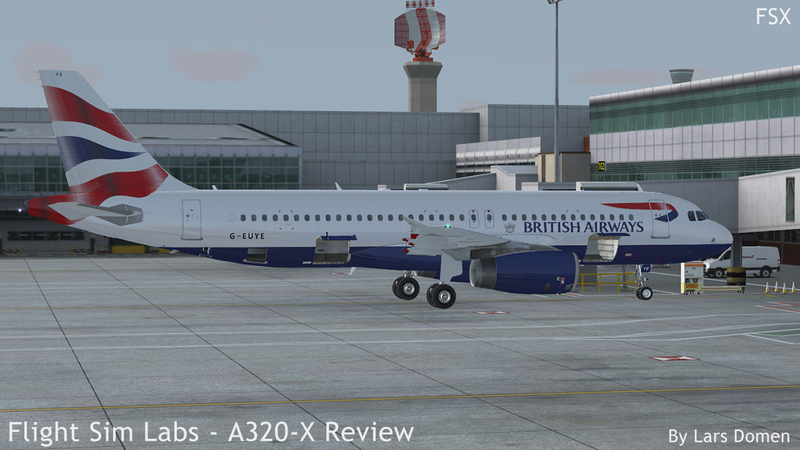 The A320 is a pleasure to taxi, and feels quite realistic when landing as well. There is an issue with button operated brakes though, in that they stop the aircraft very quickly with a sudden jolt. Pedal operated braking works fine. 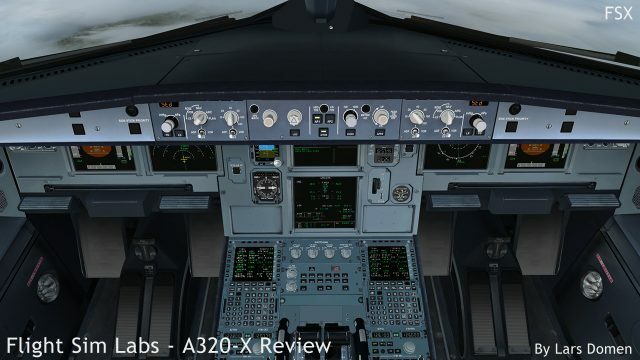 As we’re talking about an Airbus A320, we can’t discuss how it flies without discussing the fly-by-wire system. There are numerous sources online describing how it works in the real aircraft, so I won’t clutter the review with that information. 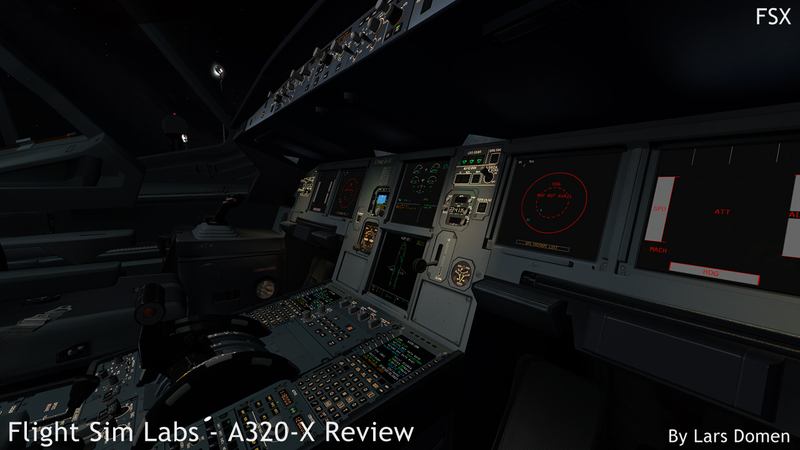 As far as I can tell, the Flight Sim Labs A320-X recreates the real system in stunning detail. All different flight control laws are simulated, with realistic degradation upon turning off or failing relevant systems. Of course, the vast majority of time is spent in ‘Normal Law’. This is the quintessential ‘Airbus way of flying’, with all aspects of the flight envelope protection active. This means that the aircraft is first of all very stable. With no control inputs, it’ll just maintain the current attitude and merrily keep on flying. And while the flight envelope protection is about more than just limiting the aircraft’s attitude, it does that perfectly by the book. Overspeed and alpha floor (low speed) protections also work as they should. Although I did manage to create a situation where I was repeatedly able to get the aircraft to stall and lose control, despite all systems up and running. During other tests, the aircraft handled slow flight just as you’d expect from an A320. This might not sound all too impressive. The default flight models in FSX are way too stable, after all. But it’s no small feat to get the full ‘Airbus’ feel into the simulator, correctly. I very much like the smoothness and responsiveness of FSL’s implementation here. The aircraft is very stable, yet never feels disconnected from the controls. When you start turning off (or failing) certain systems, the flight control laws might degrade out of ‘Normal Law’. The FSL A320-X handles these degradations as it should. This also means that you might suddenly have a very different beast on your hands. For example, in ‘Direct Law, the aircraft is quite twitchy and requires a lot of hands-on attention. Most definitely not a stable or ‘on-rails’ experience. It’s experiencing this that made me realise FSL didn’t just create a stable flight model, but indeed created a realistic flight model, and put in the full flight control system. Consider me impressed. In testing some failures, I spent quite some time flying single engine, on more than one flight. While the loss of thrust is significant and very obvious, the quality of the flight model doesn’t suffer. The ‘Extras’ category is the one I like to use to mention additions which don’t really fall under one of the other categories I use. First of all here: documentation. Documentation for the FSL A320 comes in 4 PDF-files with self-explanatory names. They are: ‘Introduction Guide’, ‘Flight Checklist’, ‘Normal Procedures’ and ‘Basic Tutorial’. All in all, about 140 pages. I always like it if developer ship a checklist document with their add-on. Especially if it’s easily printable, like the one that comes with the FSL A320. I’m also very happy with the normal procedures document. It uses the ‘read-and-do’ list format, but also includes some extra information. Very helpful. Although the tutorial is called ‘Basic Tutorial’, it does a good job of getting novice Airbus pilots in the air with a decent understanding of what they’re doing. I’d love to see an ‘Advanced Tutorial’ in the future, but for now this tutorial will help a lot of people get started with flying Airbusses. Finally though, the document you should read first: the ‘Introduction Guide’. Although coming in at only 33 pages (including cover and table of contents) this document contains a lot of information. 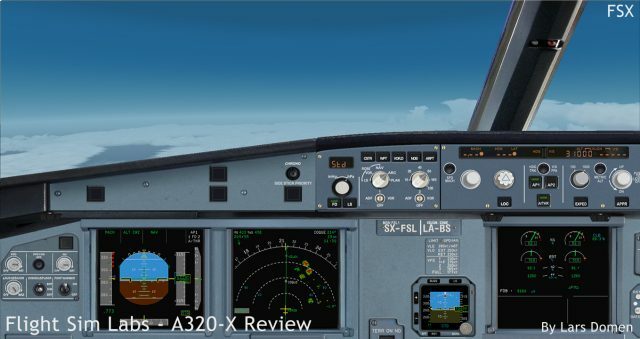 It definitely is a must-read for all FSL A320 users. But I’m not very impressed by the way it’s written and presented. The document is sometimes hard to follow, the order of topics doesn’t always flow logically and despite the heaps of information present, some aspects aren’t very well (if at all) explained. As I said, a must-read, but a thorough rewrite could make reading it a lot more pleasant and informative. 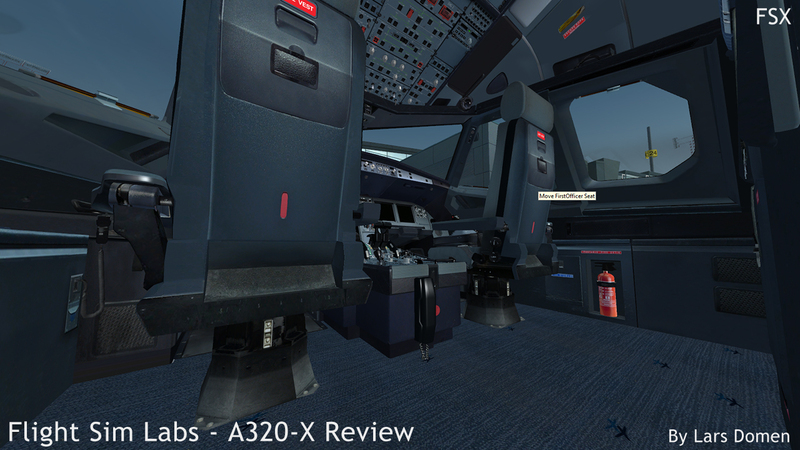 Most aspects of the Flight Sim Labs A320 are handled ‘in-sim’. So no need for external utilities, which is something I like. But FSL thought a bit further, and included a way to load fuel or interact with the MCDU outside the sim, in the way of panels you can load in your webbrowser. 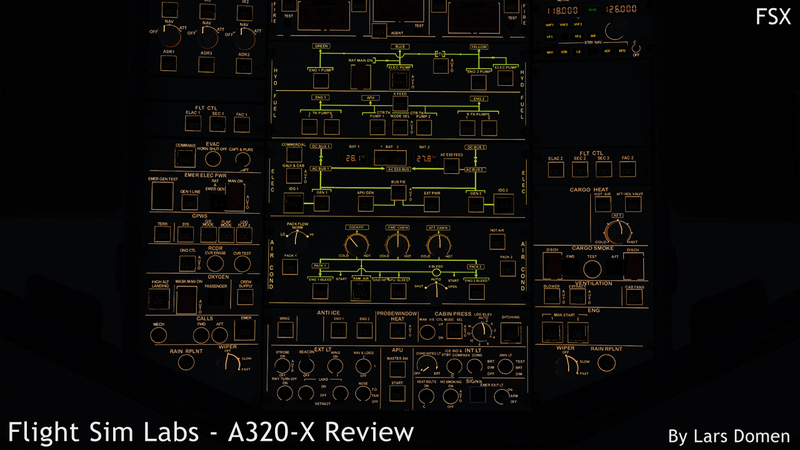 The fuel Panel is a representation of the actual refuelling panel located under the wing of the A320, and simulates how the aircraft would be refuelled in real life. 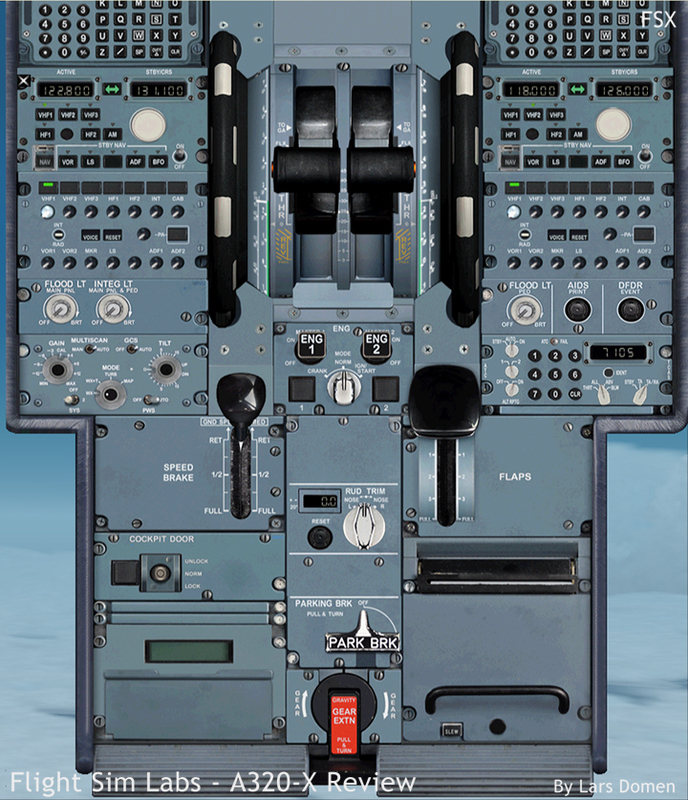 The Remote MCDU is just that: an MCDU panel outside the sim, which can be switched between captain’s and FO’s MCDU. An interesting addition, especially if you own a tablet. Both of these panels work well in my experience, with little to no delay for what you do to be transmitted to the simulator. The final aspect that should be talked about is DirectX 10. 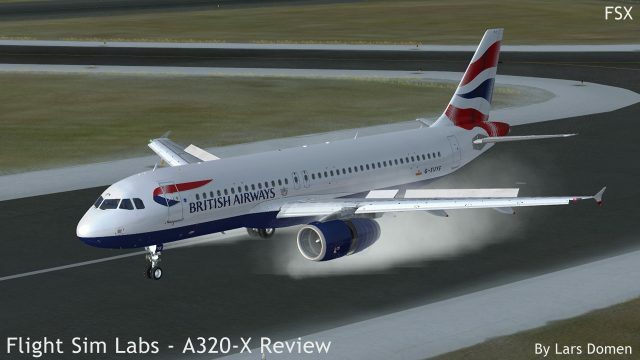 Flight Sim Labs has stated that they recommend users to use DX10 mode. 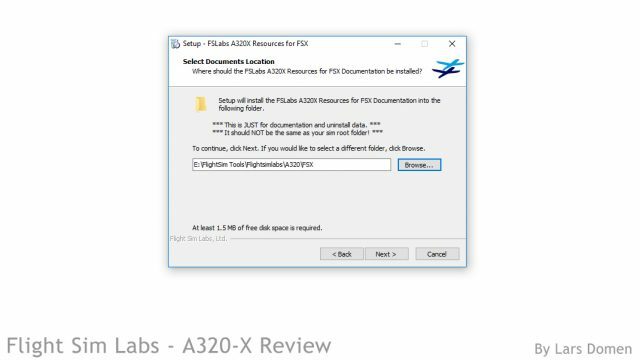 Since the included DX10 Preview in FSX is terribly bugged (it was a preview, after all), FSL recommends to use Steve Parsons’ DX10Fixer. While the reported results of using the Fixer can be very good, I decided not to use it for several reasons. First of all, I don’t own a license, and I don’t like having to buy other payware to make a product work. I also have another working simulator that does use the newer DirectX versions: Prepar3D. Second, I suspect many people will be in the same situation as me: wanting to fly the A320, but not owning a license for the DX10 Fixer, and not willing to invest money and effort in getting it running. And finally, DX10 mode is not mentioned once in any of the included documentation. It’s only on the FSL product page and the forum that these recommendations are made. So my entire experience with the FSL A320 was using ‘normal’ DX9 mode in FSX:SE. I’ll wait to enjoy VC shadowing until they release the P3D version. One last thing to talk about then, is performance. On the FSL forums, there are several people reporting problems in this department, both in terms of frame rates and out-of-memory errors. Now, my system is quite new and, for the moment, above average. That being said, performance on my system is quite good. About on par with other high-end products in both frames-per-second (fps) and virtual-addressing-space (VAS). Of course, the former can be improved by changing settings in sim, and the latter by being mindful about what you load into your simulator, especially concerning high detail textures. As usual these days, getting it running to your liking will always be a compromise. 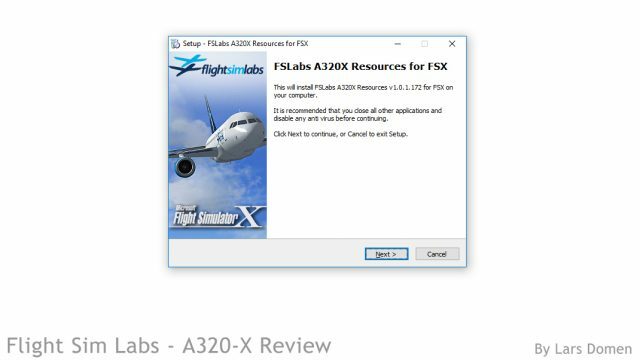 But I didn’t find the Flight Sim Labs A320-X to be more problematic in this regard than other popular add-ons. That finally brings us to conclusion time. 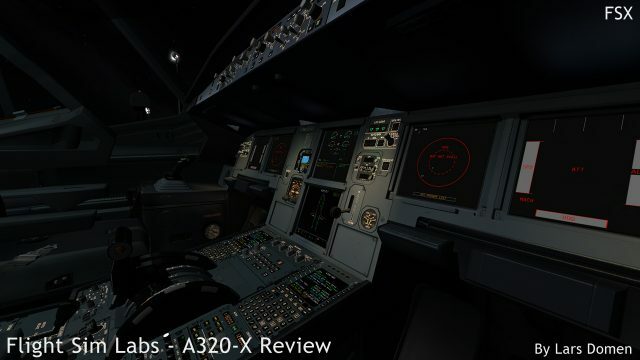 While every potential customer has to make out whether it’s worth its price for them, I’m impressed by the features the Flight Sim Labs A320-X brings to the simulator. 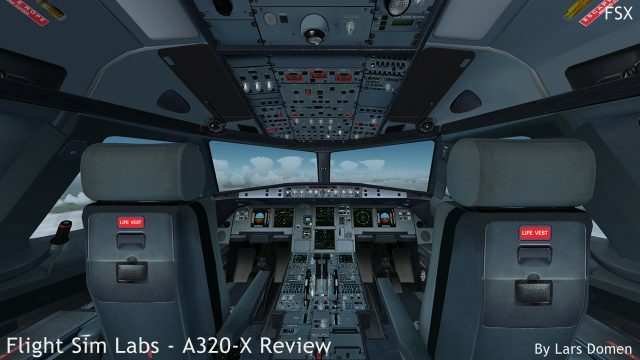 It most certainly is the most advanced and hard-core Airbus A320 add-on for Microsoft Flight Simulator X. While I see some slight room for improvement in several areas, there’s no general aspect of the aircraft I dislike. On the positive side, the add-on impresses with good visuals, especially outstanding interior lighting, immersive sounds, accurate flight dynamics and impressive system fidelity. A very enjoyable product indeed! An exceptionally well-written and fair review Lars. Others, who write sales pitches and label them as reviews would gain more reader trust and confidence by following your example. 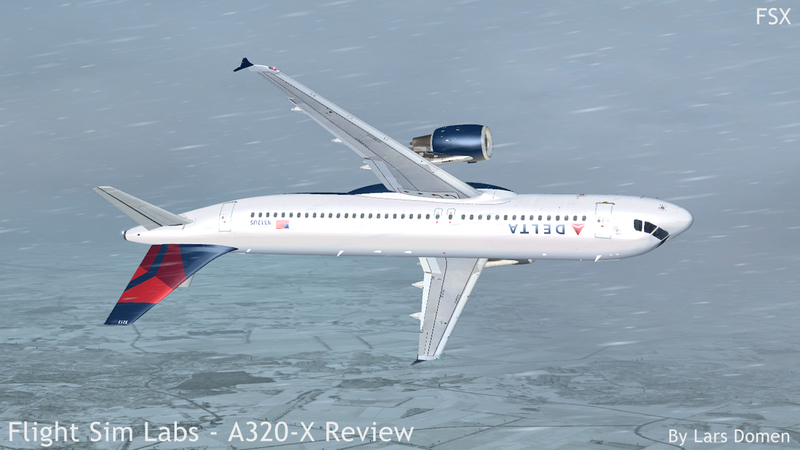 Currently what is the most realistic Airbus available for P3D? Currently, I couldn’t say. I don’t own all of them, and probably don’t even know all of them. 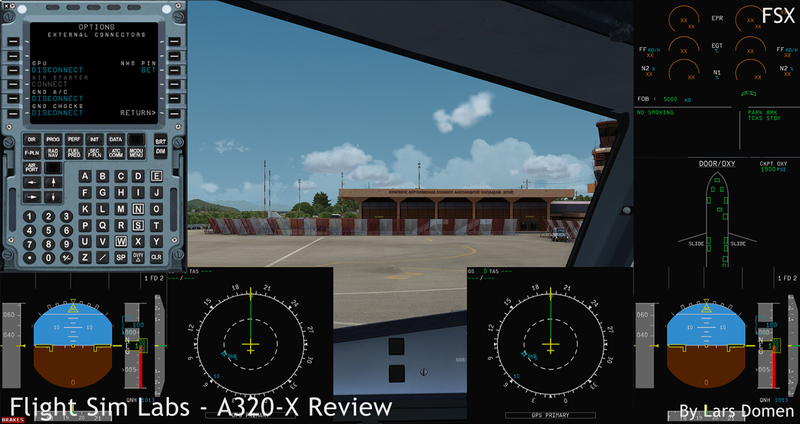 I like the Aerosoft version, but it uses a different design philosophy than FSL or PMDG products. My comment was in no way meant to be a criticism of your review which i found objective and well documented, but rather an additional eye opener for those “FSXers” who would not yet understand how much this DX10 Fixer works marvels in this sim. I did not see it as criticism. I just wanted to clarify why I didn’t buy it to test the A320.